Galloway School Tours has announced the appointment of Jo Allum as their new school tours manager. 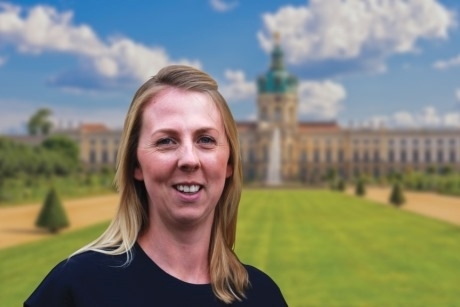 Jo joined Galloway in 2013 as a tours coordinator and, with almost 15 years in the travel industry, has a wealth of experience in organising and managing school trips on behalf of teachers. The company says that her first-hand knowledge will prove invaluable as she leads the team. Jo commented on the appointment: “I’m delighted to take on the leadership role and look forward to shaping the future of Galloway School Tours. Galloway School Tours provides residential and day excursions by coach and air to schools nationwide. Destinations include France, Germany, Spain and Poland, and subject links can tie in to Languages, Architecture and a number of History topics. Itineraries vary from a four day Medical Services & Life Behind The Lines trip in France, to a three day trip discovering the history of London on foot and by boat. History topics include the Cold War, Medieval connections, World War One and Two, and the war poets. A number of downloadable worksheets and resources are also available from Galloway, to accompany topics studied on some of the school trips. For example, worksheets for Key Stages 3 and 4 are available and link to The Somme, Normandy and Ypres. Teachers can make an enquiry by calling 01449-767 778 or by e-mailing schools@gallowayeuropean.co.uk. For further information visit www.gallowayschools.com.